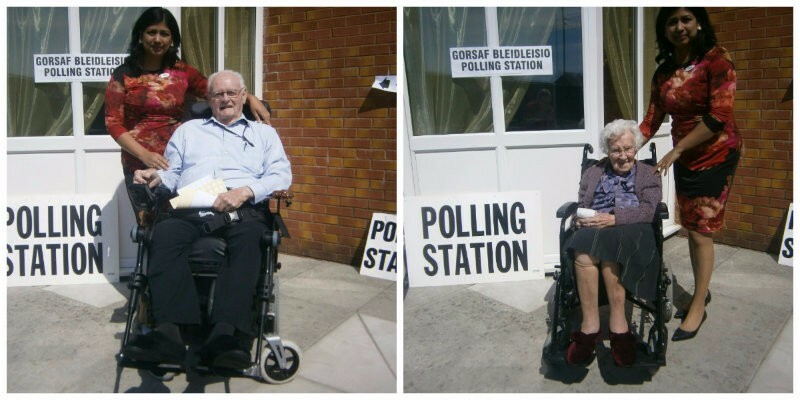 Residents at two South Wales care homes doubled up as polling stations for the Welsh Assembly Elections on May 5 enabling 150 residents to vote in the comfort of their own living room. The lounge at Bryn Celyn Care Home in Maesteg Park, Maesteg, and the coffee shop at Ty Enfys Care Home in Pentwyn, Cardiff, were used as polling stations after the homes, which specialise in residential, nursing and dementia care, agreed to open their homes for public use. Both homes are part of Hallmark Care Homes which has 15 care homes across England and Wales.